As the world becomes more dangerous by the day, the need for action for peace has never been more vital. This is the starting point for the activities of the ‘No to War – No to NATO’ international network of which CND is part. For over a decade we have been working together to highlight the dangerous role of NATO as it pursues expansionary and warlike policies on an ever-increasing global front. Its role as a nuclear-armed alliance is at the centre of CND’s active opposition to it. We’ve marched and organised together at every major summit, not confining ourselves to protest but organising ‘counter-summits’ to put forward the alternative policies that could bring about a very different world. This year the NATO summit is taking place in Brussels again, on the 11th and 12th July. The movement is organising events for the weekend immediately prior to the Summit – the 7th and 8th July. The demo will be on the Saturday afternoon and the counter-summit will be on the Sunday and CND will be participating in both. It’s just a short trip on the Eurostar so please do consider joining us. Since NATO’s last summit in 2017 we have seen an escalation of nuclear rhetoric between Trump and North Korea and frequent talk of the possibility of world war three. There may be some improvement around that but now Trump is trying to trash the Iran nuclear deal. This is not a situation that is tolerable for humanity – to live on a roller-coaster of threat and counter-threat, in the shadow of annihilation, and we need to be active together to change this. The international organising committee has issued an Appeal for participation under the slogan ‘Make Peace Great Again’! They highlight the fact that NATO is pressing its members to spend 2% of GDP on military budgets to fund wars and aggression and state that ‘We resist further increases in defence spending at the expense of social security and public services.’ This is a position that CND shares and which dovetails with our opposition to our government’s decision to spend £205 billion on replacing the Trident nuclear weapons system. The US has announced a $1 trillion programme for nuclear weapons ‘modernization’ which includes more ‘usable’ weapons – outlined in its new Nuclear Posture Review which also increases the contexts in which nuclear weapons will be used. We continue to face the danger of the US’s B61 nuclear bombs – under the auspices of NATO – currently being upgraded and stationed in five countries across Europe – Belgium, Germany, the Netherlands, Italy and Turkey. There is strong opposition to the siting of these weapons in Europe, including from the governments of some of the ‘host’ nations. 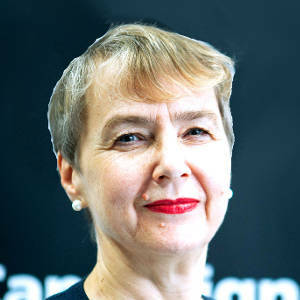 The Appeal pledges opposition to NATO’s nuclear role and urges all governments to sign the nuclear weapon ban treaty and to work towards nuclear disarmament. This is a crucial demand because currently NATO states are being held to hard-line opposition to the treaty. It’s time for us to get active against NATO – it really can make a difference.